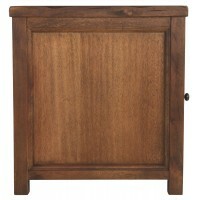 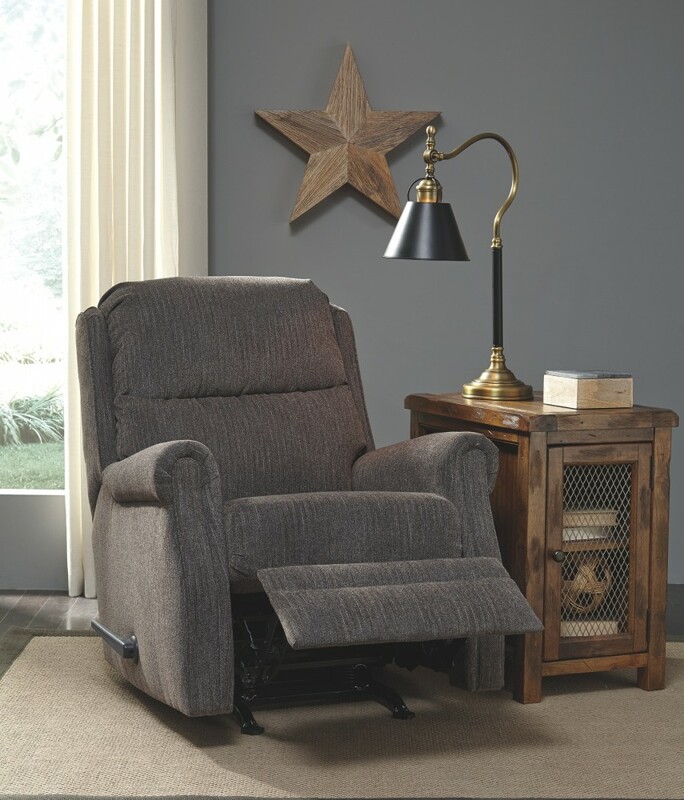 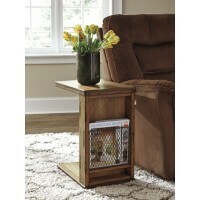 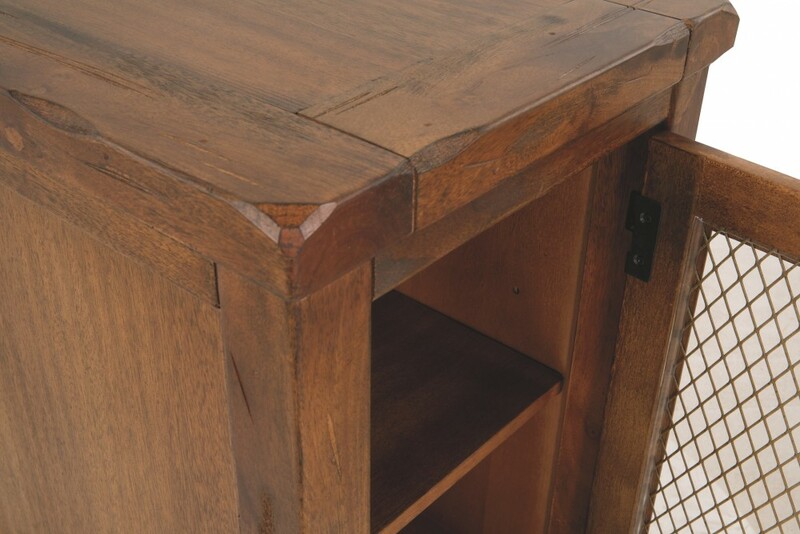 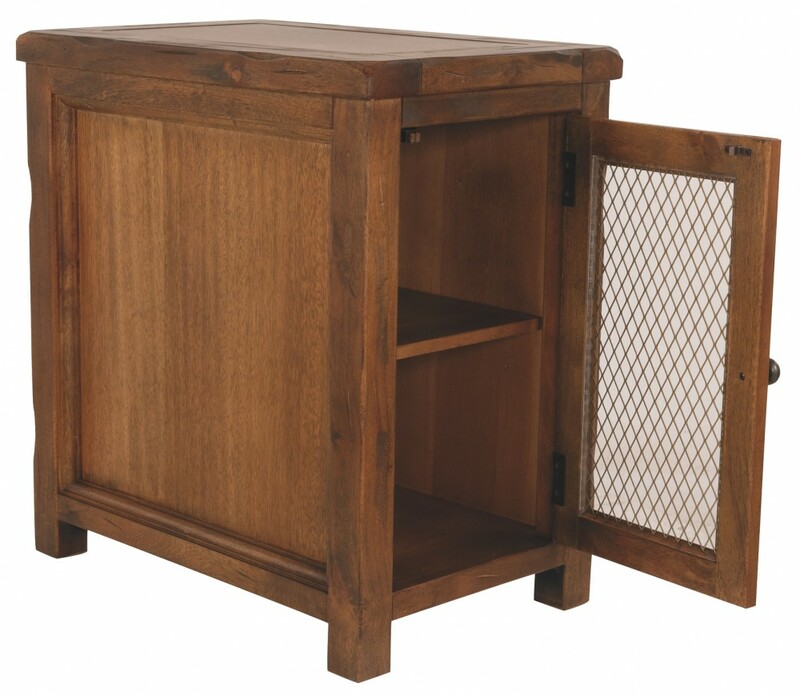 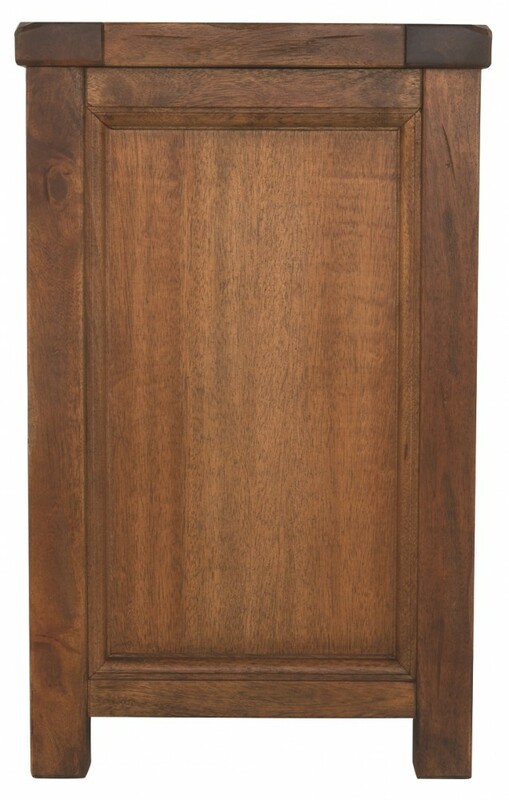 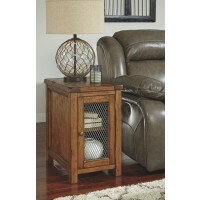 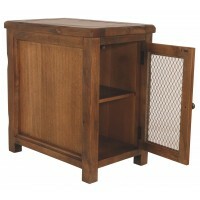 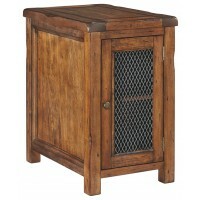 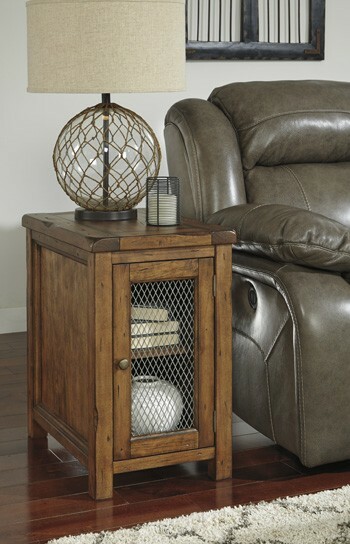 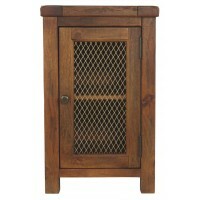 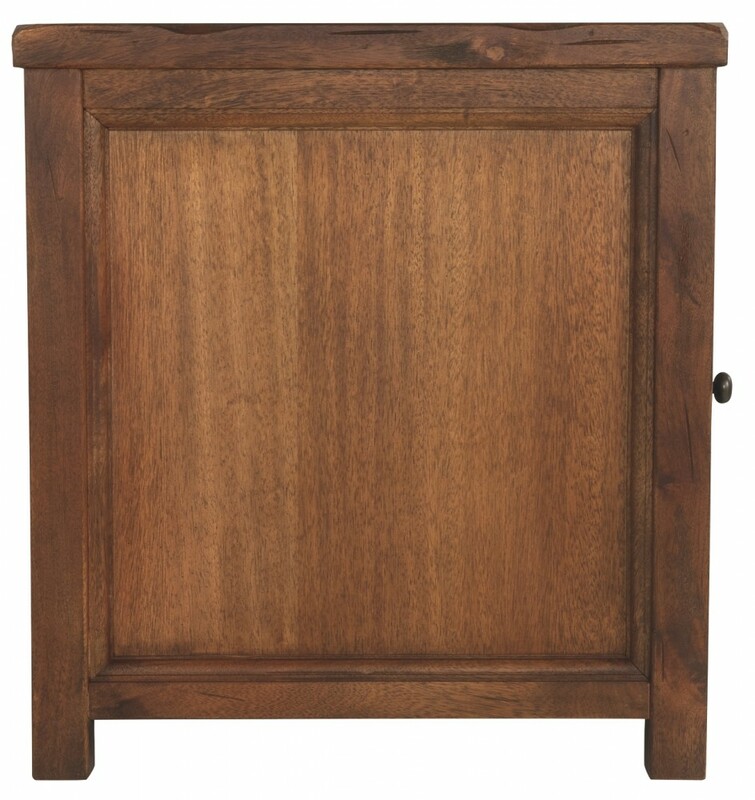 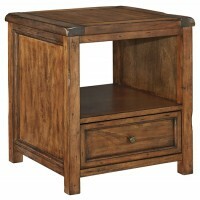 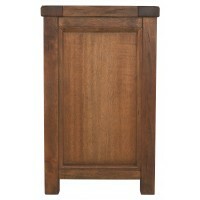 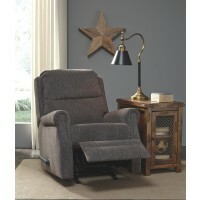 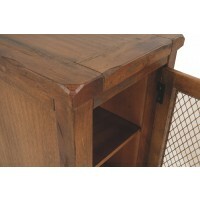 Heavy distressing, chiseled edges and a rustic finish lend this chairside end table an earthy, farmhouse feel. 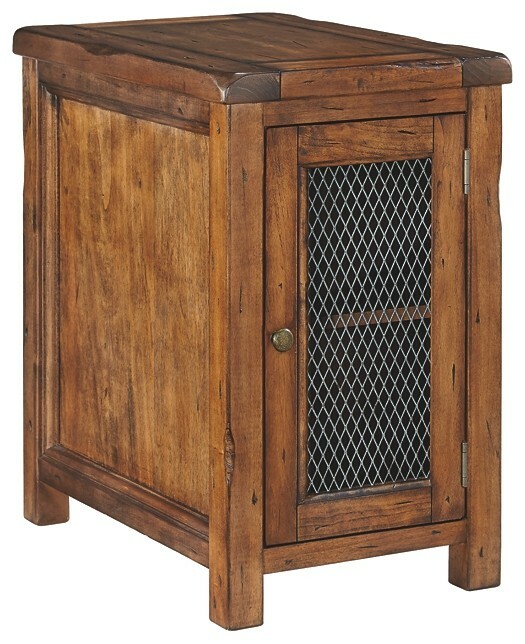 Storage cabinet holds accessories and collectibles. 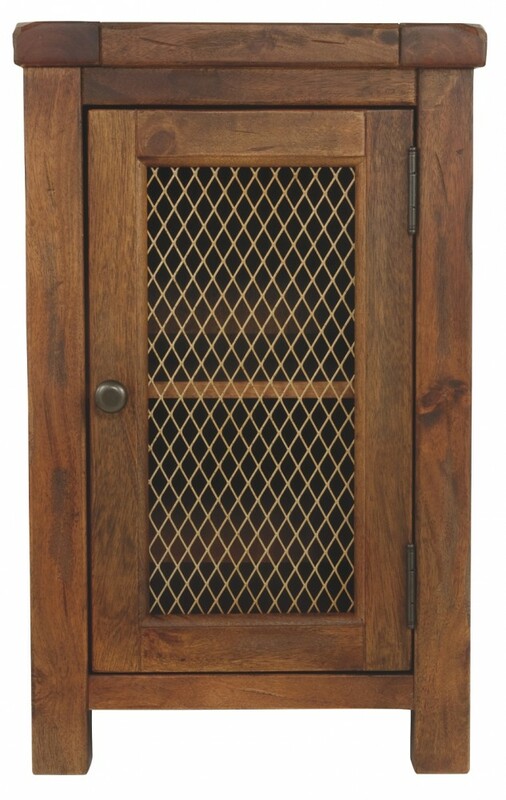 Wire mesh door panel provides a peek inside at your favorite things.